Please Note……………...Above prices are per gallon with the exception of drench and turn-out-clean which come packaged in quarts….12 to the case. All foams are available in 55 gal drums, 5 gal pails, or 2x2.5 gal boxed jugs. All other products not in quarts are available in 55 gal drums, 5 gal pails, 2x2.5 gal boxed jugs, or 1 gal containers packaged 4 to the case. 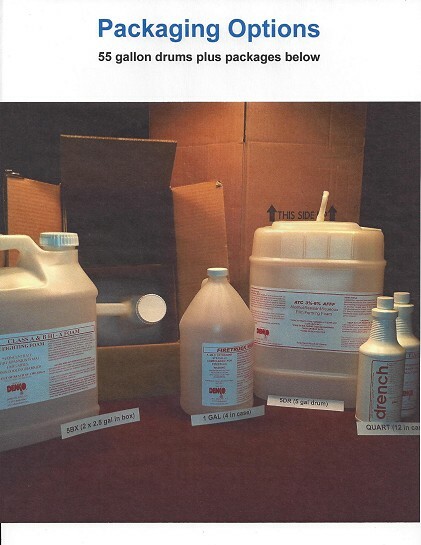 Pricing includes all package sizes except 55 gallon drums……deduct $1.00 per gallon. We reserve the right to change prices at anytime should our costs dictate.